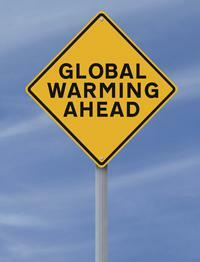 Global warming: Wall Street Journal article cites bad evidence, draws wrong conclusion. If you’ve read my blog for any amount of time, you know I am no fan of the Wall Street Journal op-ed section. In fact, I think it’s simply awful: They will print mind-numbingly bad and outright ridiculous climate change denial articles like clockwork. The other day, though, a slightly different kind of opinion article appeared there. It’s not outright denial but shows many of the same signs. It was penned by Matt Ridley, a British science writer. He claims he does not deny the reality of global warming or even that it’s caused by carbon dioxide; he just claims the future effects of it are exaggerated. But given what he wrote for the WSJ, I’m skeptical. Titled “Science Is About Evidence, Not Consensus,” it dances around the topic, making confused and ultimately erroneous points about global warming. The headline is ironic as well, since the evidence he cites is uniformly wrong. In his efforts to downplay the effects of global warming in the future, Ridley makes two claims: One is that in the past, rising temperatures started before the rise in the amount of carbon dioxide in the air (therefore implying the addition of more atmospheric CO2 is not driving increased temperatures); the other is that Michael E. Mann’s famous “hockey stick” temperature graph has been proven wrong. Folks, let me give you a very useful piece of advice: When you hear a claim that goes against the consensus opinion of climate scientists, type that claim into Google followed by the words skeptical science. Because the website Skeptical Science is very thorough, and it rebuts both claims by Ridley. First, it’s true that in the distant past (hundreds of thousands of years ago) a rise in carbon dioxide sometimes did follow a rise in temperature. As Skeptical Science points out, that’s to be expected: If the temperature goes up (which can have a number of initial causes), a lot of CO2 locked up in the oceans gets released. However, this does not mean carbon dioxide doesn’t cause warming; in fact we know an increase in CO2 causes an increase in temperature. That in turn increases the amount of CO2 released from the oceans, further increasing temperature. This is called a positive feedback loop. Happily, in general, positive feedback loops like this tend to flatten out, preventing the heat from cranking up past the point where temperatures become unstable. Mind you, as Skeptical Science again points out, in the past most of the increase in temperature did in fact happen after an increase of atmospheric CO2. Some initial trigger caused temperatures to go up a little bit, but then the increased CO2 drove a much larger increase in temperature. Ridley is simply wrong here, and the debunking is quite easy to find online. Still, Ridley claims that “In the ice cores, it is now clear that temperature drives changes in the level of carbon dioxide, not vice versa.” I’m puzzled by this; is he saying CO2 does not cause increased temperature in modern times? He never comes out and says this (except with that one sentence, and with the caveat “in the ice cores”), but he implies it pretty strongly. But that contradicts his stated stance that CO2 is a greenhouse gas, and humans are at least partly responsible for global warming. His position on this appears to be untenable. The much-maligned “hockey stick diagram”, which has now been extended well into the past. [It] was effectively critiqued by Steven McIntyre, a Canadian businessman with a mathematical interest in climatology. He showed that the graph depended heavily on unreliable data, especially samples of tree rings from bristlecone pine trees, the growth patterns of which were often not responding to temperature at all. It also depended on a type of statistical filter that overweighted any samples showing sharp rises in the 20th century. This is, once again, simply not true. McIntyre’s critique was not effective at all. For one thing, the reconstruction of past temperatures in the hockey-stick diagram relies on a lot of evidence besides bristlecone pine tree rings, including ice cores and coral growth. Not only that, but in the time since the original graph was published there have been numerous other reconstructions using many different methods, and they show that the hockey stick graph is largely accurate. Second, the claim that Mann’s use of a statistical filter artificially increased a modern rise in temperature is also wrong. 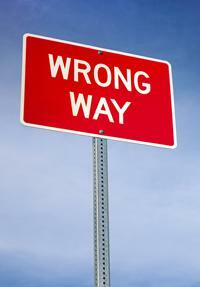 When analyzing a lot of data points, there are many ways to use statistics to draw conclusions. Some are better than others, to be sure, but one way to be more confident of your results is to apply different methods and see if they agree. 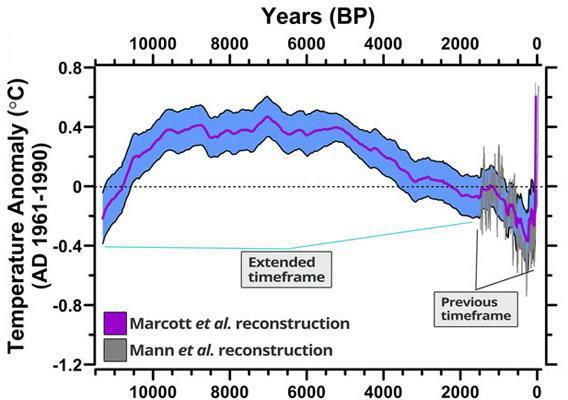 And it so happens that this was done by other scientists using a variety of statistical methods, and they found that Mann’s hockey-stick graph to be “robust.” In fact, they say quite clearly in that linked paper that the biggest conclusion of Mann’s hockey-stick reconstruction—that the sudden rise in temperatures in recent times is anomalous—is correct. So what do we make of Ridley’s conclusions? He says he is swayed by evidence, but the evidence he cites is wrong. We know carbon dioxide is increasing steadily in our atmosphere, we know that increases temperature, we know past temperatures were driven up by carbon dioxide, we know temperatures are going up now, and we know the hockey-stick graph is accurate. And despite Ridley’s claims that future predictions show “huge uncertainty”—a proposition I would dispute—even the low end of the predictions indicates the future we face is dire indeed. I’ll note that President Obama has finally decided to take action on U.S. carbon dioxide emission, but his course of action is at best weak sauce compared to what’s needed (and I fully expect the climate-change-denying congressional majority to throw roadblocks in his way). Still, it’s a step in the right direction. In a sense, so is Ridley’s article; at least it isn’t an outright and entire denial of global warming, even if he uses outdated and incorrect arguments. But in the end, Ridley’s Wall Street Journal article does what the denialists want: It sows doubt. And we are way, way past the kind of doubt these people are peddling. The evidence is in, and it’s firm. The Earth’s climate is changing, and it’s playing havoc with the weather and environment; we need to take it seriously, and take serious measures to deal with it. UPDATE, July 8, 2013, at 15:00 UTC: Last year, Media Matters for America published an in-depth look at Ridley’s past global warming antics, which puts this current WSJ article in context.